Eliminate chlorine gas before it poisons your entire colony in Oxygen Not Included. 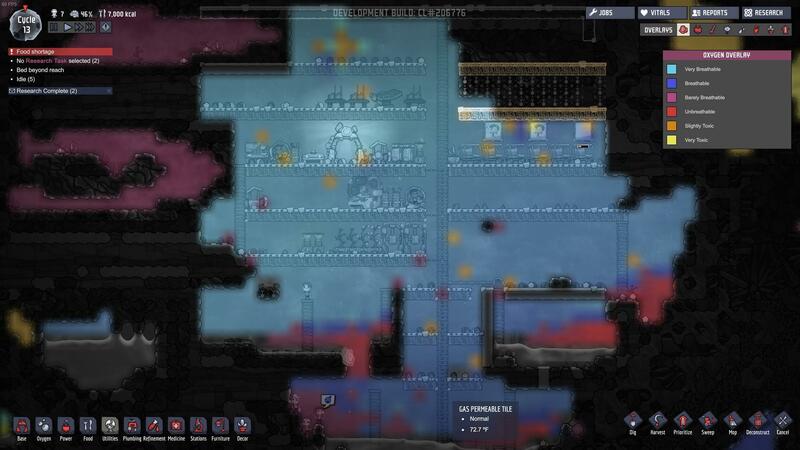 In Oxygen Not Included, chlorine is a poisonous gas that you don’t want getting into your settlement. The problem is, this situation is inevitable and leaves players with only one option: eliminate it! In a Twitch stream with Klei Entertainment, a viewer asked about the purpose of chlorine gas within the game. The developer informed players that in the present build, there is none but this hasn’t stopped players from trying to come up with crafty ways to get rid of it. Let’s begin with the 5 types of gases in the game. Each has their own mass, color, and level of toxicity. From lightest to heaviest are hydrogen, oxygen, polluted air, chlorine, and carbon dioxide. chlorine falls right on top of carbon dioxide, and both are toxic to your colony. It’s important to make note of how gas is settling in parts of your colony. More than likely, carbon dioxide is settling at the bottom, and if chlorine gets in, it will settle right above that. Because of this, players have suggested building a cellar for carbon dioxide build up, and a sink for chlorine gas. Place a gas pump and gas filter in the sink then trap a morb in it. The morb will turn the most of the chlorine gas into contaminated oxygen which will then be purified by the gas pump and filter. 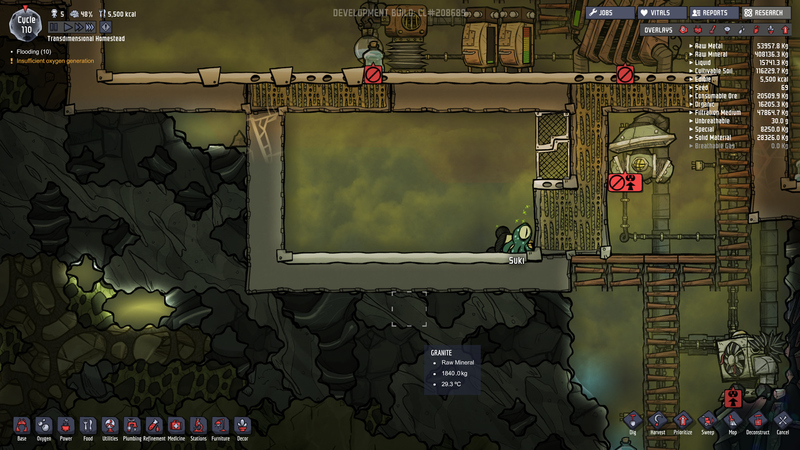 Let us know if this solution on getting rid of chlorine gas in Oxygen Not Included has worked for you, and if you have any suggestions. For players that have just started their journey, make sure to check out our best tips for beginners and how to get more oxygen guides, as well.